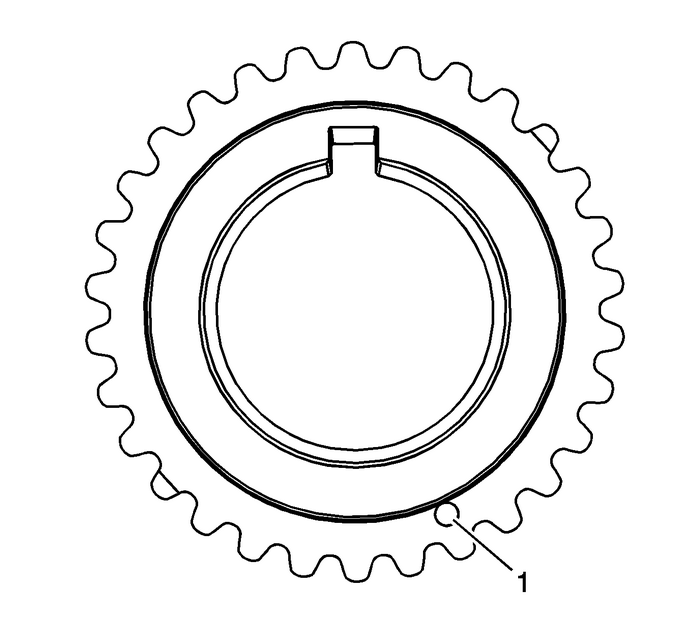 Ensure the crankshaft sprocket is installed with the timingmark-(1) visible. Install the crankshaft sprocket onto the nose of thecrankshaft.Align the notch in the crankshaft sprocket with the pin inthe crankshaft.Slide the crankshaft sprocket on the crankshaft nose untilthe crankshaft sprocket contacts the step in the crankshaft. 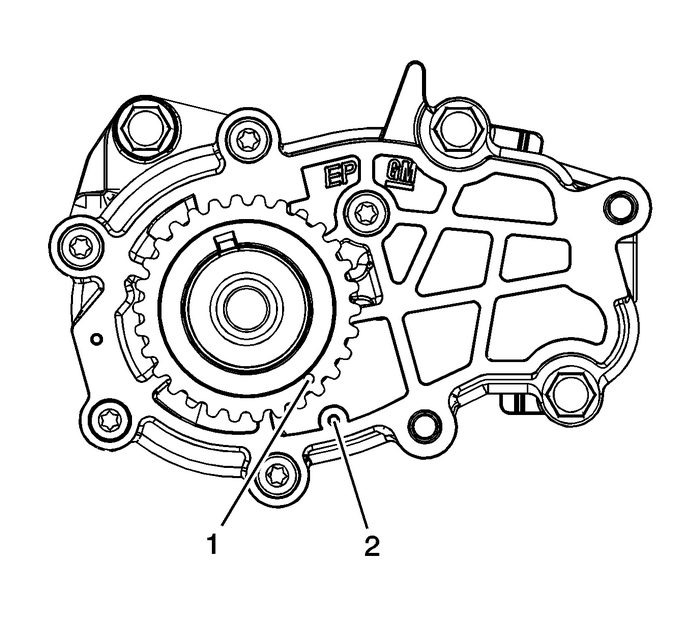 Ensure the crankshaft is in the stage one timing positionwith the crankshaft sprocket timing mark-(1) aligned tothe stage one timing mark on the oil pump cover-(2)using theEN-48589socket. 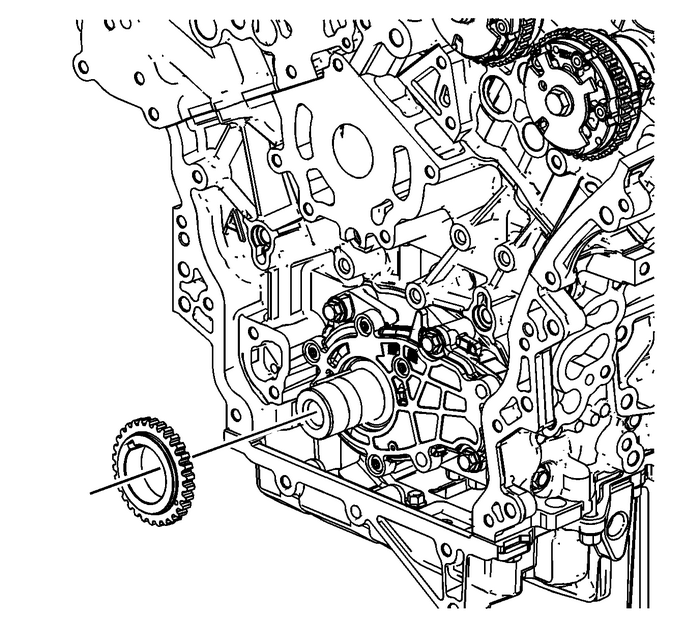 Refer toTiming Chain Alignment Diagram.